Our mission is to provide a safe, warm, inviting, exciting, fun place where children feel accepted for who they are and supported as they are challenged to become the best they can be. We strive to achieve an unparalleled quality of camp experience, providing young people with the opportunity to grow both emotionally and skillfully in a wholesome, healthy, respectful, kind, positive, tolerant and naturally beautiful setting, thereby acquiring a lifetime of skills, friendships, and memories. 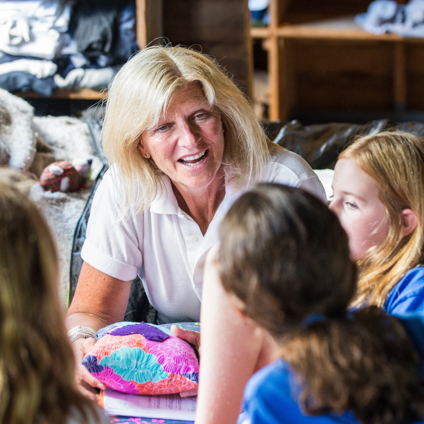 At Kamp Kohut, carefully orchestrated attention to detail helps ensure each child has a successful camp experience. Each camper is unique in his/her readiness for camp, individual interests, and personal goals. We recognize these differences and feel every child deserves time and attention to make sure his/her summer experience is truly special. We prioritize the details because little things can make a big difference. From getting to know our campers before they arrive to thoughtfully matching a “Kohut big brother or sister” who shares the same interests, from listening to a child’s bed placement preferences to a welcoming name tag over that bed. We even go so far as arranging table seats in the Dining Hall and proactively assigning activity classes to help nurture friendships and promote learning. We want the Kohut experience to be one that builds confidence and makes warm memories.